Langley Castle Hotel is a 14th Century castle nestling in the Northumbrian valley of the South Tyne. Built in 1350, during the reign of Edward III, the castle has retained its architectural integrity and is regarded as one of the few medieval fortified Castle Hotels in England. Set in its own ten acre woodland estate, the castle's 7 feet thick walls provide a peaceful and tranquil refuge in which to escape from today's hustle and bustle to a bygone age. We treat each and every business with the personal attention they deserve, and what better venue for your meeting, launch or team building day than a genuine 14th Century Castle. Langley Castle Hotel offers you an exclusive centre from which to explore Hadrian's Wall, the Northumbrian countryside and history. When it comes to conferences and corporate hospitality Langley Castle provides a venue unlike others. With southern Scotland including Edinburgh, the English Lake District and the Yorkshire Dales no more than 2 hours drive away. The Castle provides a perfect venue for wedding receptions, private functions or just a getaway weekend. Five flexible Meeting and Conference Rooms offering facilities for between 4-12 and 20-130 delegates. 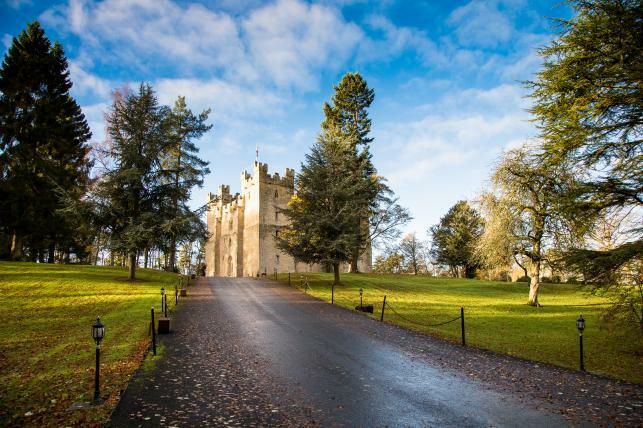 Langley Castle is no ordinary Hotel... It is an experience and an inspiration!